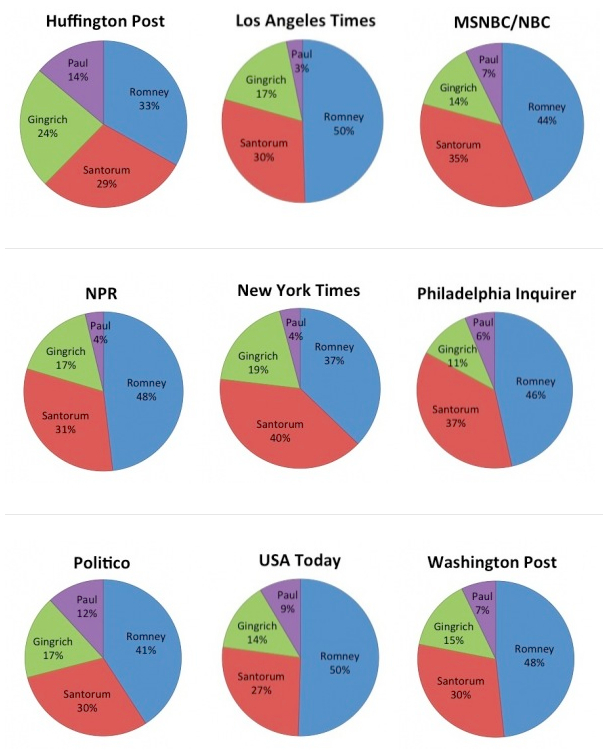 This page provides a summary of research results for the Miami Herald’s photographic coverage of the 2012 presidential election. Most of the Miami Herald’s photos from the first presidential debate showed Obama and Romney smiling side by side — which meant that Obama “appeared” better than the overnight polls suggested he did. Of all the news outlets, the Miami Herald published the most consistently “positive” photos of Mitt Romney (almost three-quarters of those pinned to Pinterest) — but in the study’s first two weeks its “positives” for Obama were even higher. These six images of Barack Obama and Mitt Romney are a sampling of photos published by the Miami Herald during the three weeks of the PrezPix study. Clicking a photo links to the Pinterest board of that photo. Researchers pinned a total of 211 photos from The Miami Herald over three weeks of the general election — 87 photos of Pres. Obama and 124 photos of Gov. Romney. Across the three weeks, The Miami Herald published* roughly 30 percent more photographs of Romney, with its attention mainly focused on Romney during the first week of the study in September. The study showed a noticeable drop in photos of both candidates every week. Romney went from 83 to 32 and then 8 photos in the final week. Obama saw his numbers go from 52 to 30 to 6 over the three weeks. It should be noted that the third presidential debate on October 22, 2012, held in Boca Raton, Florida, fell outside the time period of this study. Researchers noted that the Miami Herald published a significant number of national politics stories in the first two weeks of the PrezPix study, but they did not appear prominently on the website — they appeared via a “search” and were mainly from the Associated Press. Researchers found many photos of the candidates on the Herald’s slideshows — a multimedia feature repeatedly reused — which contributed to researchers finding and pinning the same images again and again. Researchers found both stand-alone photos and slideshow images pinned without difficulty to Pinterest. NB: The final week of the PrezPix study researchers found far fewer photos of the candidates than the previous two weeks; researchers observed that the website focused more on local than national politics. 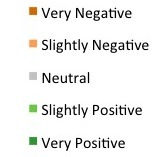 These six pie charts show the percentage of positive — neutral — negative photos of Barack Obama and Mitt Romney from Miami Herald coded by researchers during the three weeks of the PrezPix study. Oct. 1-7 — Researchers noted a surprising rise in photos of Obama coded as “very positive” after the first debate, despite the poll figures that showed he “lost” that contest. 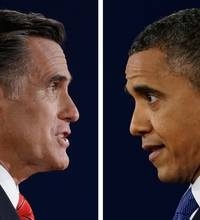 Researchers coded photos of both Romney and Obama more positively, while the number of photos coded as “neutral” or “negative” stayed roughly the same. Oct. 15-21 — The most dramatic change across the three weeks came in the rise in the percentage of photographs researchers coded as “negative” for Obama. It should be noted, however, that only six photographs of Obama were found and coded that week, a significant decrease from the 52 photos pinned by researchers during the first week of the study. The Miami Herald did not create a specific section for its coverage of the 2012 General Election. Instead its coverage was grouped into its “Nation” and “Political Currents” sections. 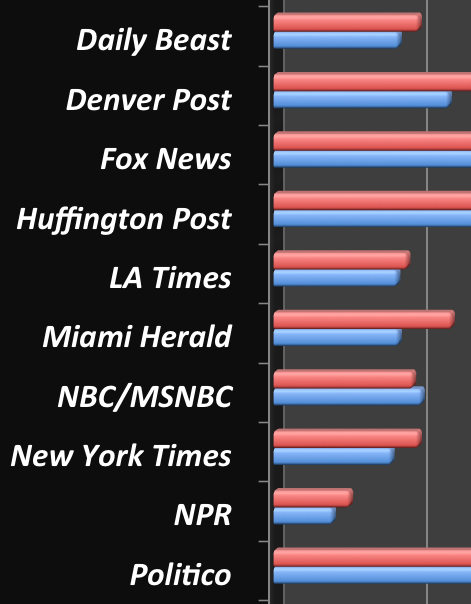 Stories dealing with the election were tagged with phrases such as “Campaign 2012” or “Presidential Debate.” Most stories on the candidates were not placed directly on the front page; the majority of coverage had to be searched for by the terms “Obama” and “Romney.” Most the Herald’s online stories were aggregated from the Associated Press. PINTEREST: The Herald was very Pinterest friendly — all photos were pinnable. There were no videos on the site for potential pinning and many of the stories on the presidential election, (mostly those from AP), did not have photos. The majority of stories that did have photos ran them in a slideshow/photo gallery format, some with as few as three and others with as many as 12 photos. The Herald reused the same photograph heavily. CONTEXT: The Miami Herald is an American daily newspaper first published on Sept. 15, 1903 under the title The Miami Evening Record. The Herald has been owned by the McClatchy Company since it bought Knight Ridder Publications.